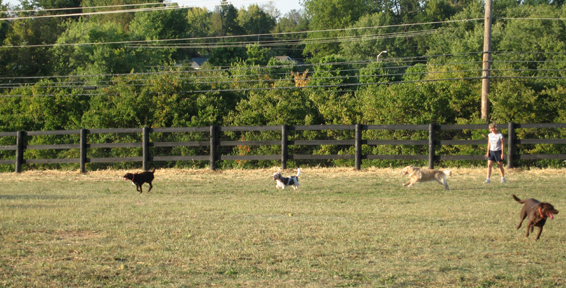 Wellington Dog Park is located just outside New Circle Road between Nicholasville Road & Clays Mill Road. 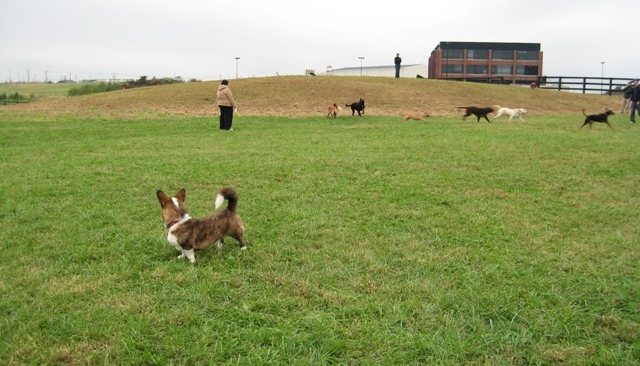 This dog park is 7 acres divided into 2 paddocks. Both paddocks include plenty of shade by the mature trees. 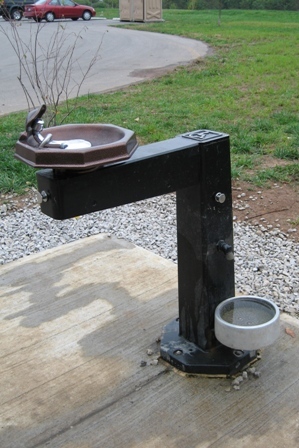 A hydrant is available outside the dog park. 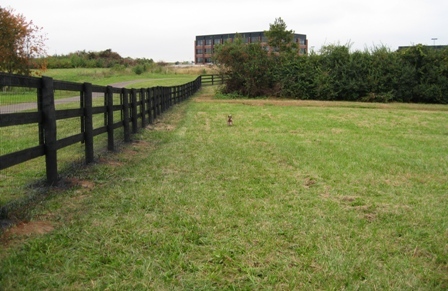 In September 2008, we finished our first paddock! 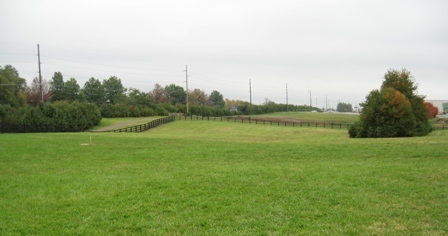 It is 3.4 acres with mature trees, all enclosed in a horse-farm style fencing with mesh backing.